Are you wondering where all we go? Take a look below! Cowboy Party Rentals strives to be your "one stop shop" for all things PARTY! From bounce houses and water slides to frozen drink machines and party tents, we have everything you need for a perfect event. 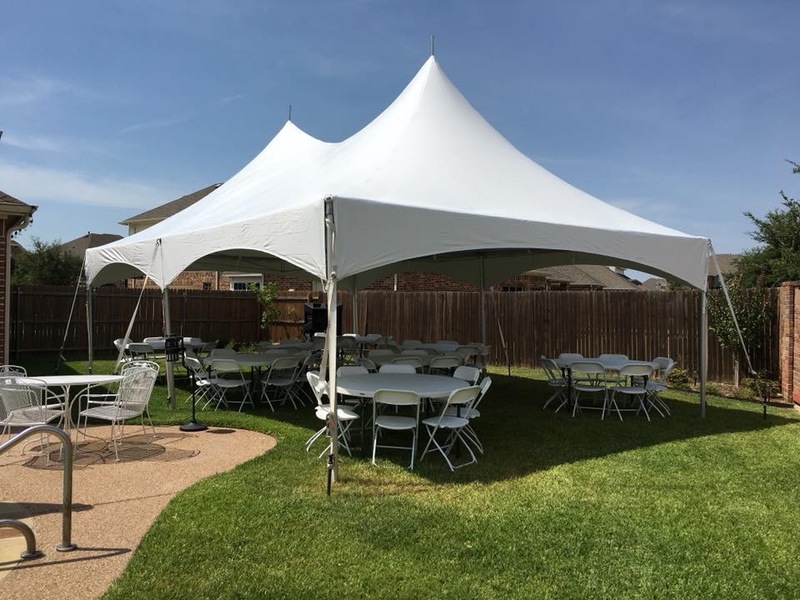 Cowboy Party Rentals is a family-owned and operated company, and we take pride in providing excellent customer service to our ever-growing number of loyal customers. We're based in Midlothian and we also proudly serve our surrounding communities. Our delivery teams love working residential parties all the way to huge school and church events! Abbot, Alma, Alvarado, Arlington, Avalon, Balch Springs, Bardwell, Barry, Blooming Grove, Briaroaks, Burleson , Cedar Hill, Cleburne, Corsicana, Covington, Coyote Flats, Cross Timber, Crowley, Dallas, DeSoto, Duncanville, Ennis, Ferris, Forreston, Fort Worth, Frost, Glenn Heights, Godley, Grand Prairie, Grandview, Hillsboro, Hutchins, Ike, Italy, Itasca, Joshua, Keene, Kennedale, Lancaster, Lillian, Mansfield, Maypearl, Mertens, Midlothian, Milford, Oak Leaf, Ovilla, Palmer, Pantego, Pecan Hill, Red Oak, Rendon, Reagor Springs, Rice, Rio Vista, Venus, Waxahachie, Whitney, Wilmer. For larger orders, we also serve these cities and surrounding areas: Southlake, Benbrook, Colleyville, Flower Mound, Glen Rose, Granbury, Haslet, Keller, Mineral Wells, Springtown, and Whitney. 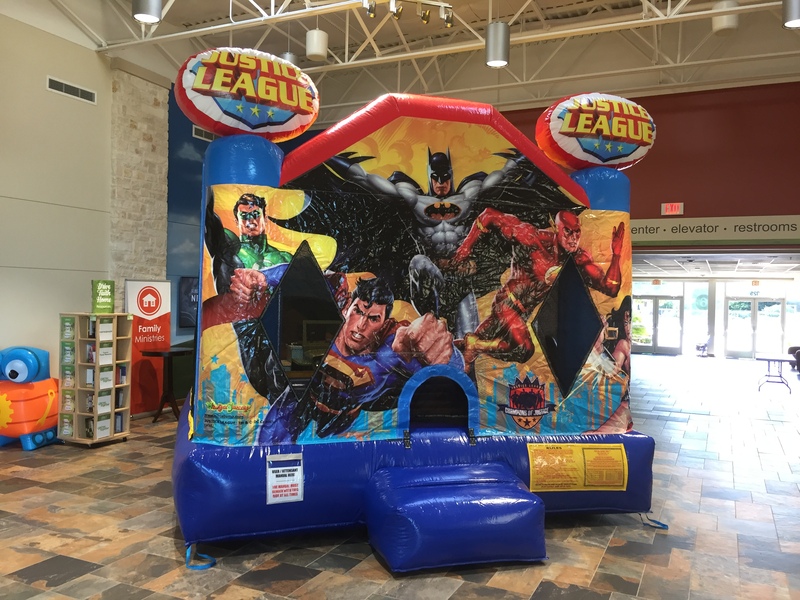 Our Inflatable bouncer rentals are a great start to every party! Our wide range of selections gives you the best opportunity to book a bounce house that's a perfect fit for your budget and theme! From Licensed Disney Characters such as Mickey Mouse and Minnie Mouse all the way to Tropical, we have it all! Renting an inflatable water slide is one of the best ways to bring family and friends together for summertime fun. 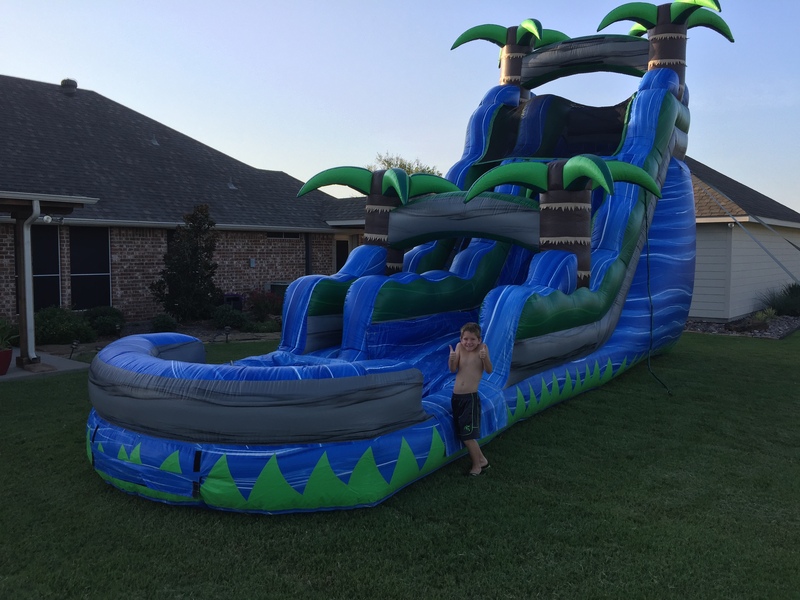 Our versatile water slide options makes it possible to find the right sized slide for your event. We have smaller water slides for our younger patrons and even 24' Water Slides for fun for all ages- kids to adults! Beat the Texas Summer Heat with a Cowboy Party Rentals Water Slide!